There is a notice that This item has 4 Language Verison: English, Russian, Spanish and French Voice. Please leave a note of which voice you need, or we will send English as default. Not support language switching, and just available for English user manual book. 1,Large LCD English blue back-light display, voice prompt, ease of use. 3,Can check status and call records form panel. 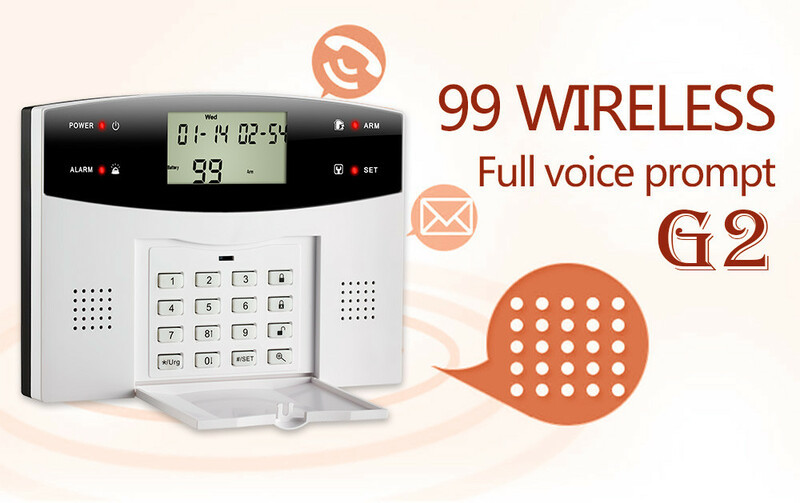 4,Allow up to 99 wireless defense zones and 4 wired zones. 5,Each can be defined as one of the 8 zone types including NORMAL, STAY, INTELLIGENT, EMERGENCY, CLOSED, HELP SENIOR, WELCOME and CHIME. 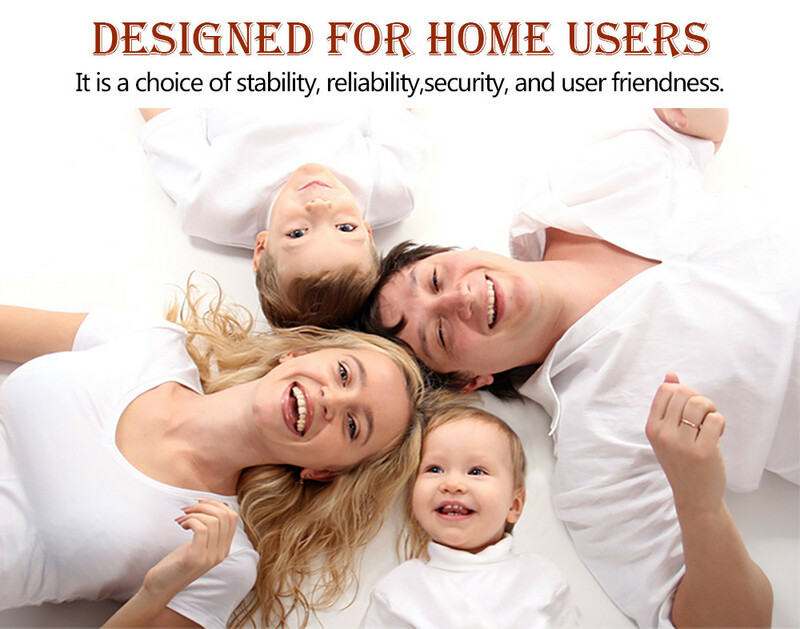 6,Four sets of scheduled arm/disarmed function, each time disarmed you can select the included period of time and different defense zone, eliminating of need of the manual procedure, realizing the beauty of automatic controls. 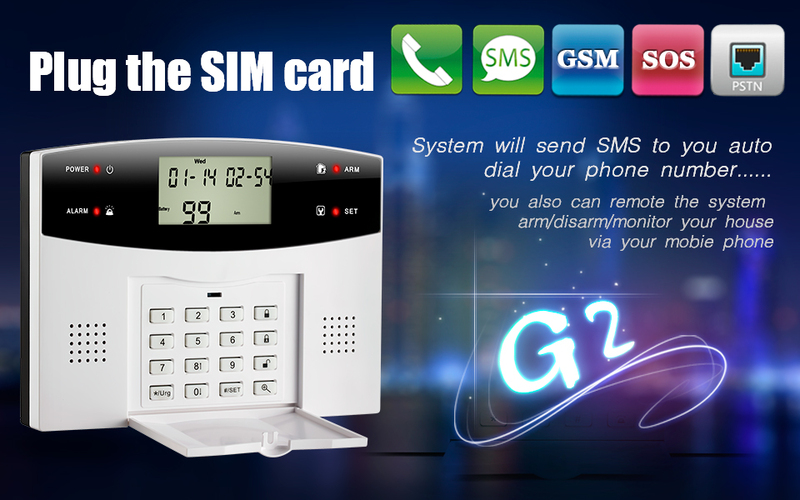 7,Support configuration via phone ( handset ) or SMS messages to System Setup text messaging costs associated with the alarm panel. 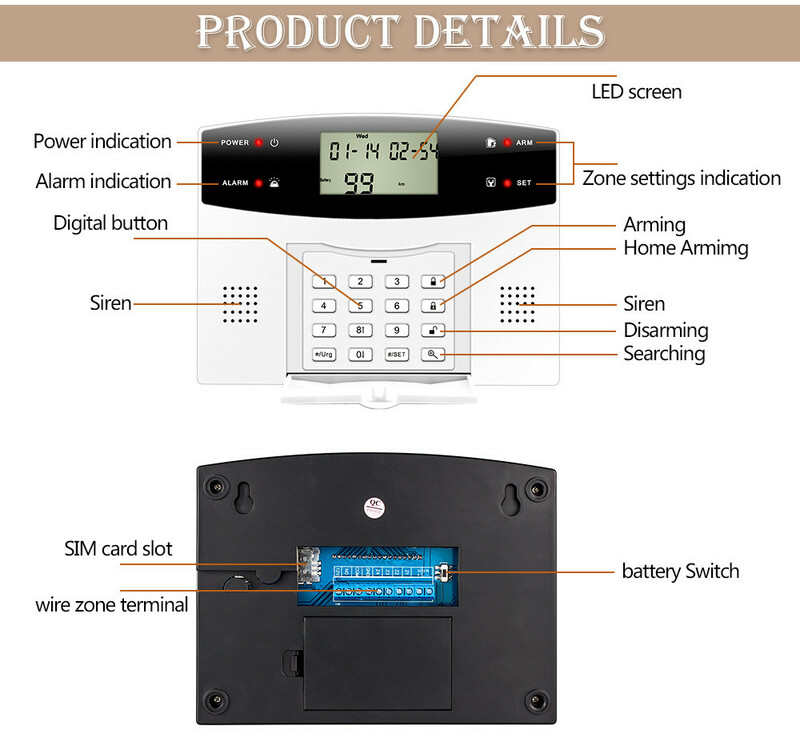 8,6 group voice alarm phone number for alert calling, 3 group phone number for help senior, 6 group for SMS messaging, numbers saved inside EEPROM without lost upon power failure. 9,Different zones can dial a pre-set telephone number. 10,Support ISD automatic voice mailbox for playback message upon alert. Maximum length of voice message is 10 seconds. 11,Telephone (phone) long distance telephone control for arming, disarming, monitoring, remote announcement. 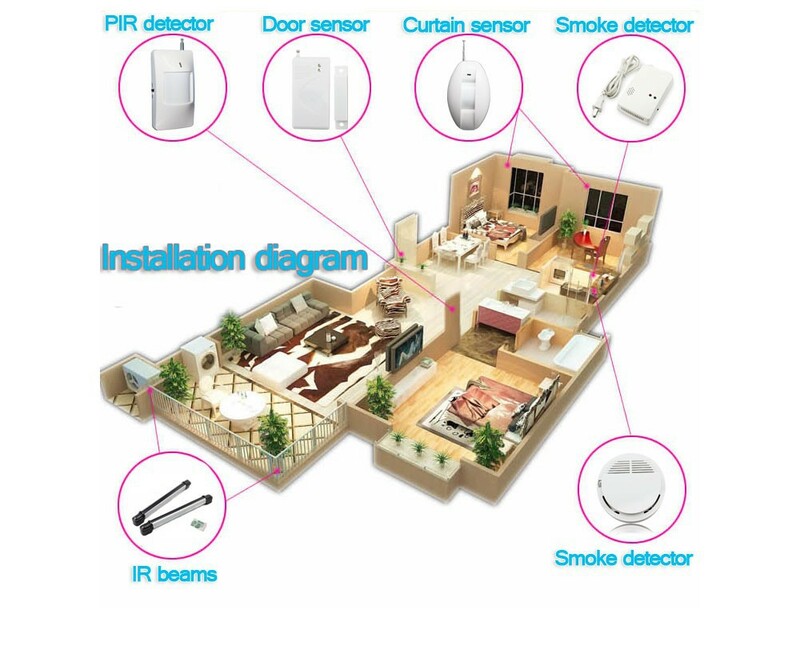 12,1 set of normally open signal outputs, relay linkage output, home appliances remote control can be realized. 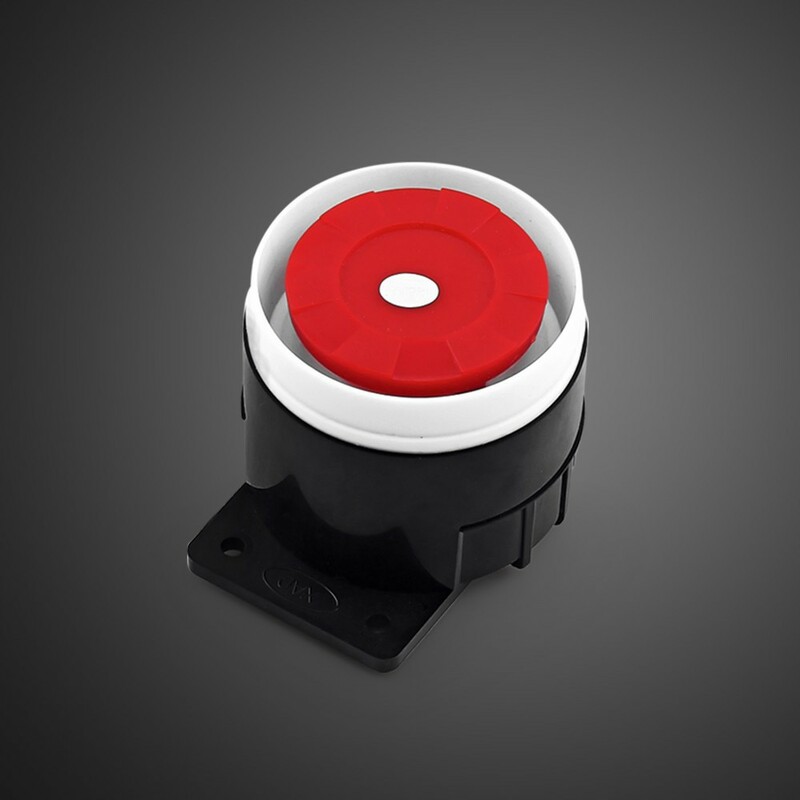 13,Wireless intelligent study coding, compatible with PT2262 normal encoding and a 1527 encoding, convenient and flexible for adding or reducing accessories. 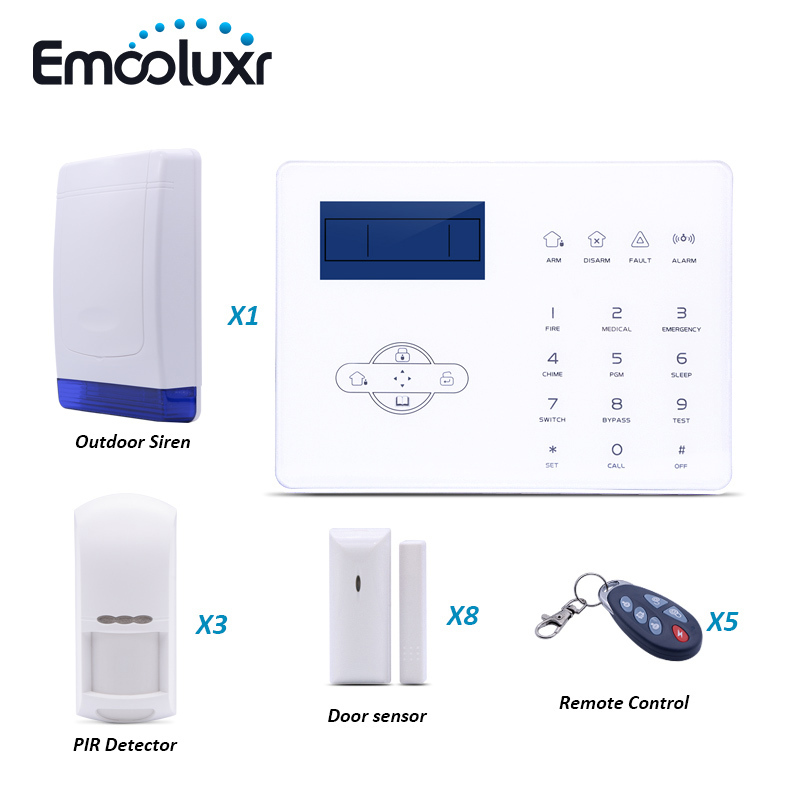 Maximum support 150 remote control and 150 sensors. 14,Unique black box features, you can display most recent 72 disarmed records and 102 recent alarm recording. 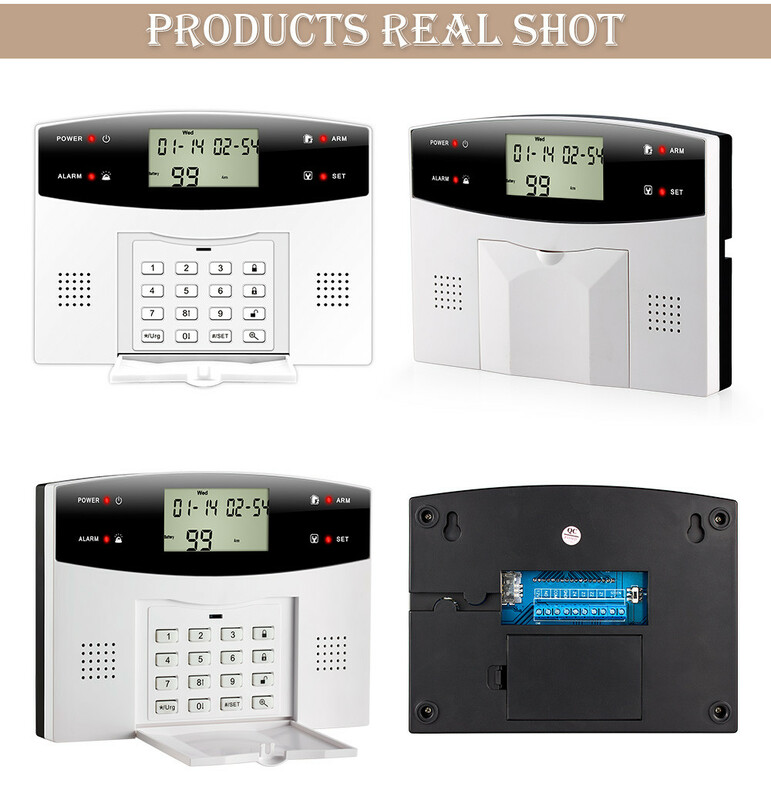 Accurately shows the alarm time and control code. 15,Build-in Ni-Hi rechargeable battery and automatically switchable upon power failure, and notification will be sent via SMS. 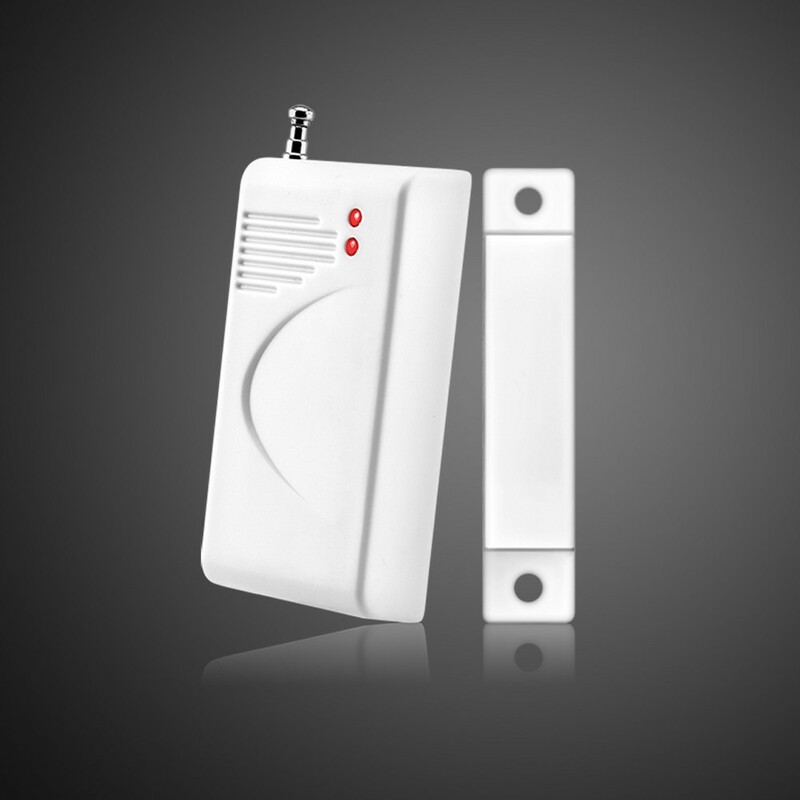 16,Panel integrated with either dual-band, triple-brand, quad-brand GSM/GPRS industrial graded module, stable and reliable. 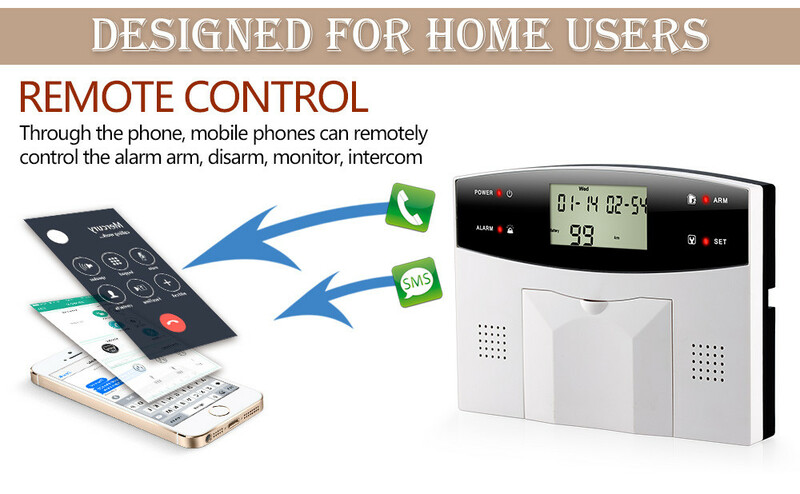 It\'s not only an alarm, but also can be used as a phone to call. P ress the phone number and press the phone key on disarm state to make a call. Large LCD English blue back-light display, voice prompt, ease of use. Keep your private area away from danger!! 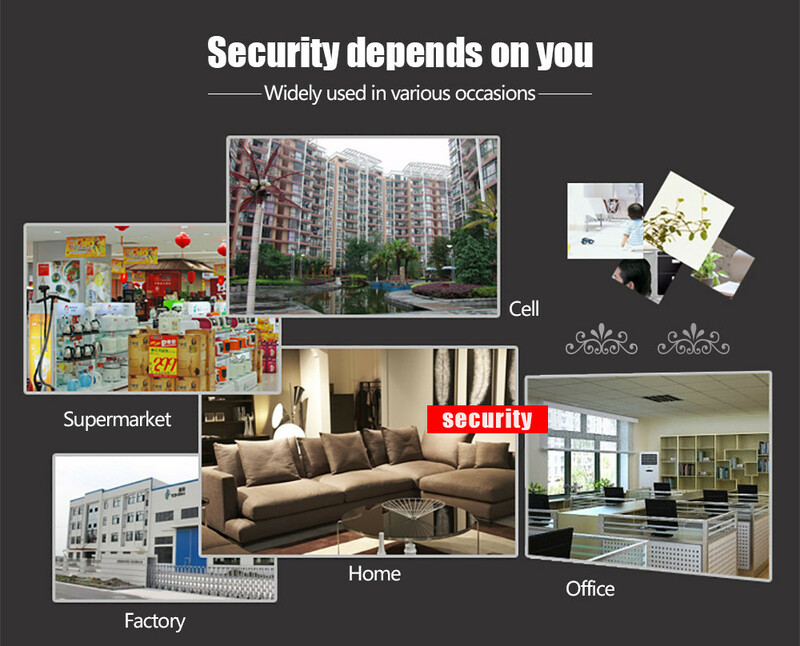 (1) Do you want to know the situation of your home or company anywhere / anytime?? This item can help you! If there is any stranger breaks into its defense area. 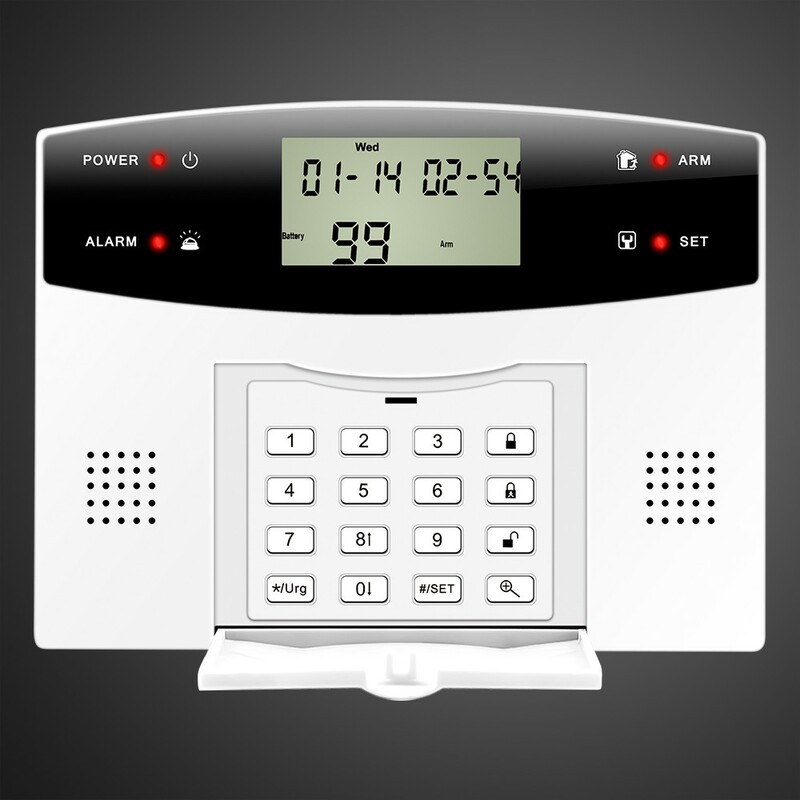 The system will call you ; at the same time, its siren will alarm loudly to scare the intruder. And when your neighbors hear the alarm, they might come over to check the situation. 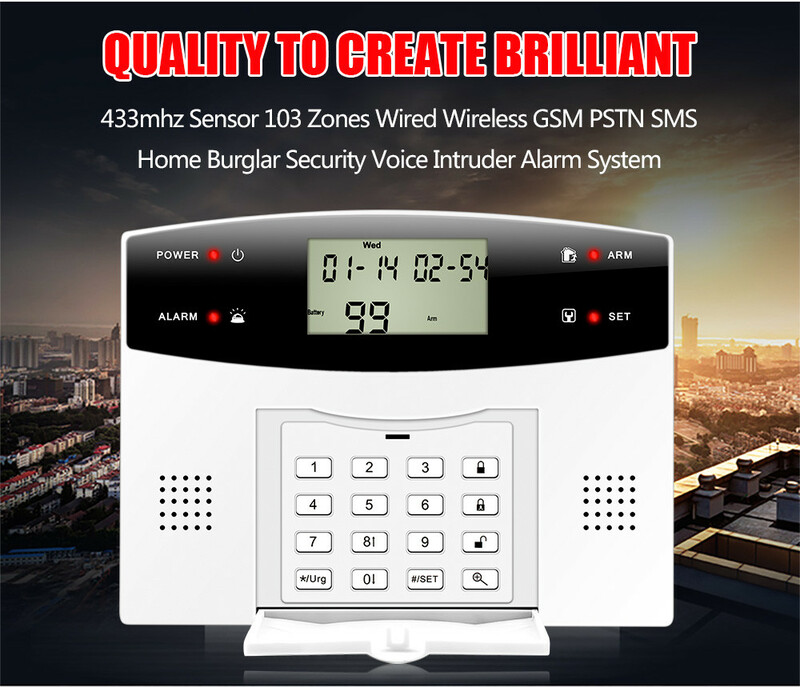 (2) Alarm with voice prompt for commercial and home use is built on leading microprocessor technology with advanced GSM digital signal processing power. 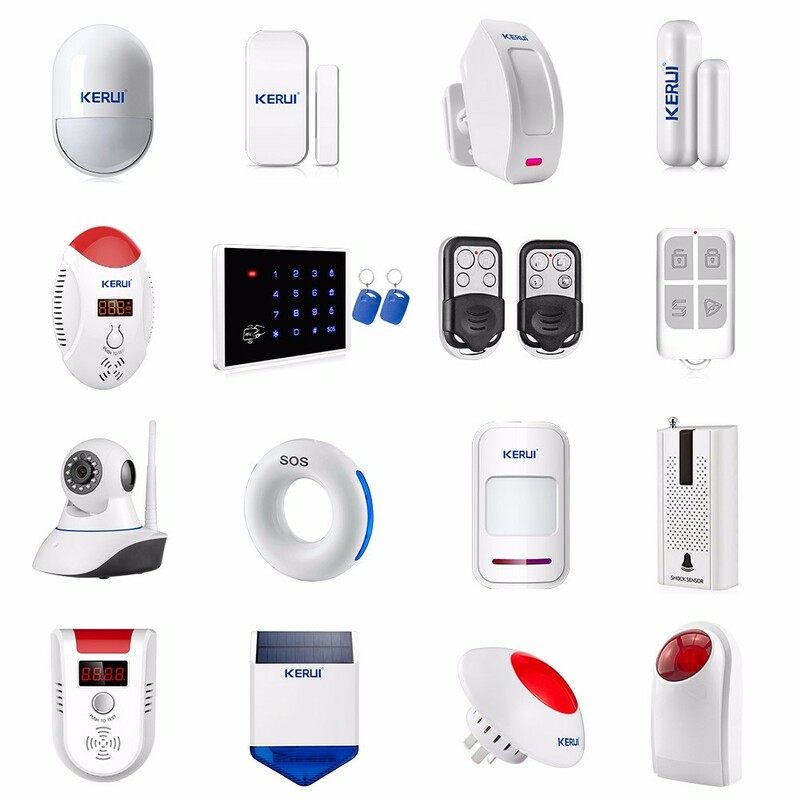 (3) It is a highly integrated system of digital speech, mobile messages, multiple modes of wireless coding, long-distance home appliances controlling, SMS Messages identification and other technologies. 3, 4 Kinds of Power Plug: US/Euro/UK/AU Plug, We will ship out the right one that match your country. 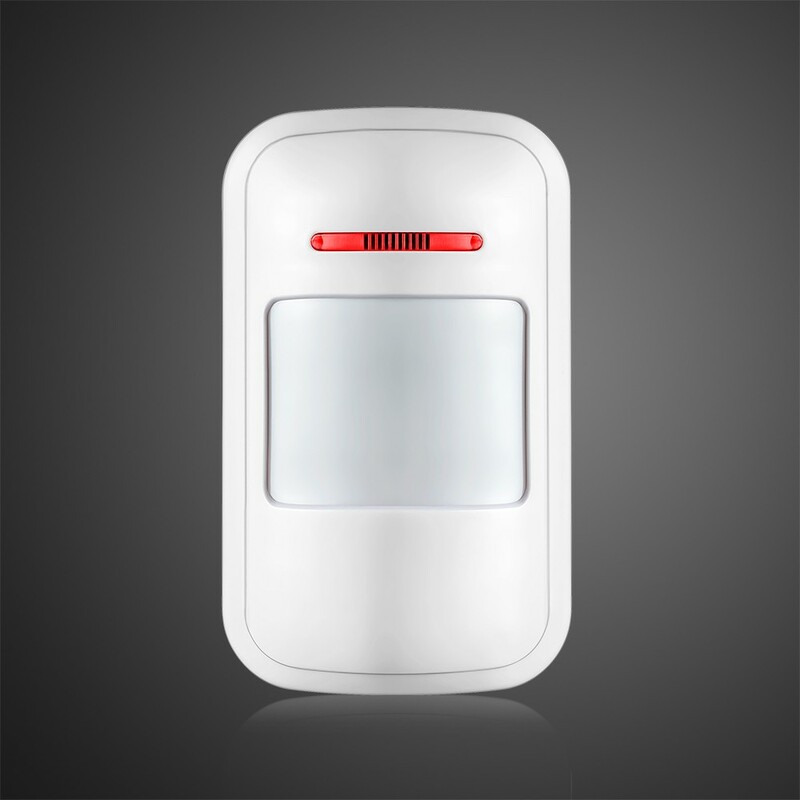 9, Buile in NI-HIrechargeable battery is available to provide power supply nearly 5 hours automatically after power off. 5, Installation: less than 15mm between 2 parts.